What is the most important thing secular people need to know in order to make sense of young-earth creationism? It’s nothing specifically scientific. It’s not even anything directly theological. The vital key to understanding radical creationism is something different. As a recent commentary reminds us, creationism thrives because it has a powerful intellectual defense mechanism. From Answers In Genesis: Creationist defense mechanisms. As I finish up my new book about American creationism, I’m struggling with a lot of difficult questions. Perhaps the hardest of all is the durability of radical ideas about science and nature. For those of us who aren’t creationists, it can be difficult to understand how anyone can be educated, aware, and intelligent while still thinking the earth is only about 6,000 years old. Why don’t they abandon those ideas as soon as they hear how scientifically impossible they are? As Nelle Smith pointed out recently, radical creationism has a powerful defense mechanism: Satan. Creationists don’t only believe in dissident science. They also are told—over and over again—that their scientific ideas are under attack. The attack has many sources—Bill Nye, Richard Dawkins, local science teachers, etc.—but the true source of the attack is always more nefarious. growing up in many evangelical churches means to be told, repeatedly, that the devil will always seek a foothold, and once you give him one you’re well on the road to hell, to losing your faith, to destroying your witness. That’s scary stuff. To begin to doubt evangelicalism is not simply a mental exercise. For many like me, it’s to feel a void opening, the earth dropping out from beneath you. It’s to face the prospect of invalidating your entire existence. As I’ve argued elsewhere, naïve anti-creationists have often failed to understand this key part of radical creationism. Like the affable Bill Nye, anti-creationists have assumed that they can convince and convert creationists simply by explaining the outlines of mainstream evolutionary theory. Anti-creationists have assumed that the evidence will be enough to change people’s minds. What we non-creationists have failed to understand is that creationists are expecting to hear arguments that seem to make sense. They are ready to see evidence that looks convincing. They know what to do when they are presented with so-called facts that purport to poke holes in their worldview. The central story of radical young-earth creationism isn’t one of science and religion. Rather, it’s a story of faith and doubt, of steadfastness and wavering, of obedience and sin. When arguments for evolution seem convincing, creationists can dismiss them as yet another alluring trick of Satan to fool the unwary. To be sure, every once in a while, creationists raised to watch for the devil’s scientific snares change their minds. They embrace evolutionary science and abandon their old creationist mindset. But as Nelle Smith writes, to do so requires a wholesale revolution in their ways of thinking about good and evil, right and wrong. It’s not a simple matter of accepting evidence or mulling competing arguments. For many creationists, the arguments of mainstream evolutionary scientists aren’t attractively modern. They are as ancient and as seductive as the serpent’s whisper to Eve. What would arch-creationist Ken Ham say if someone accused him of hate speech? We don’t have to guess. At his recent talk at the University of Central Oklahoma, Ham defended his vision of proper Christian morality. Did he capture ancient Christian wisdom? Or spout off twenty-first century bigotry? Part of the 500-person audience at UCO. As SAGLRROILYBYGTH recall, we’ve tussled over this issue recently. When UCO rescinded Ham’s original invitation, we wondered if free speech was still alive. I argued at the time that free speech was something of a red herring in this case–and many similar college cases. The real issue is sponsorship. The student organization at UCO did not want to pay Ham to speak, due to Ham’s views on sexuality and marriage. From my perspective, Ham’s answer sidesteps the central point. I don’t want to put words in anyone’s mouth, but my hunch is that anti-Ham protesters at UCO didn’t care if Ham personally hated or loved them. The real question is whether or not he wanted to take away their civic rights to marriage equality. For a hundred years, conservative evangelicals have told themselves that college is a dangerous place. 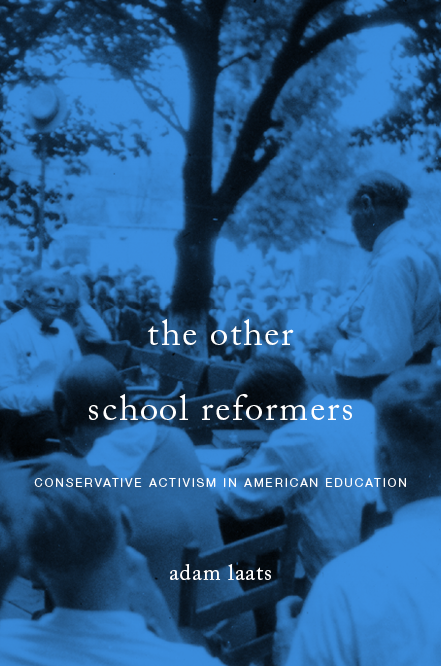 As I argue in my new book about evangelical higher ed, the threat posed by mainstream schools pushed fundamentalists in the 1920s to invest in their own network of interdenominational schools, safe colleges for fundamentalist youth. A new study suggests that fundamentalist fears are still well founded. Back in the 1920s, fundamentalists loved to recount horror stories of college gone bad. As evangelist Bob Jones like to tell revival crowds in the 1920s, one Christian family he knew scrimped and saved to send their beloved daughter to a fancy college. What happened? At the end of nine months she came home with her faith shattered. She laughed at God and the old time religion. She broke the hearts of her father and mother. They wept over her. They prayed over her. It availed nothing. At last they chided her. She rushed upstairs, stood in front of a mirror, took a gun and blew out her brains. My soul is a starving skeleton; my heart a petrified rock; my mind is poisoned and fickle as the wind, and my faith is as unstable as water. . . . I wish that I had never seen a college. Back then, fundamentalists didn’t just rely on anecdotal evidence. They shared social-science evidence of the dangers of mainstream higher education, especially psychologist James Leuba’s 1916 study of college-student religiosity. The students he interviewed tended to grow less religious during their college years. The takeaway? College must be doing something to strip students’ faith. These days, conservative evangelicals are just as nervous as ever about college. On my recent trip to Answers In Genesis’s Ark Encounter in Kentucky, I was surprised to find a huge walk-through comic book illustrating the dangers of higher education. And, over a hundred years after Leuba’s book, new research seems to suggest that mainstream colleges really do tend to water down student religiosity. The survey by the Interfaith Youth Core was most interested in the ways college students reacted to religious diversity. Along the way, they found that among 7,194 students at 122 colleges, religious activities as a whole tended to drop during the first year of college. Forty-three percent of the freshman respondents said they had talked about religious ideas in high school, while only a quarter said they did in college. When it came to religious diversity, the numbers are even starker. Thirty-seven percent of respondents said they had attended a religious service of a different faith than their own in high school, but only 20% did in college. College students also reported friendlier attitudes toward liberal ideas after a year of college, from 55% up to 63%. And a majority said they felt some pressure to change their religious ideas and that they tended to keep their religious ideas to themselves. So while people like me might worry that students are not getting enough exposure to religious diversity, fundamentalists will likely worry more. Even if college students are shying away from other religions, they are also shying away from their own. Want to scare a fundamentalist? Tell them you’re sending their child to a state university. As I’m arguing in my new book about evangelical higher education, anxiety about college has always been a primary concern of Protestant fundamentalists and other conservative evangelicals. Today’s fundamentalists are no different, as I discovered in my recent visit to the Ark Encounter. In this last (I promise) post about the Ark Encounter, I have one final puzzle about the ways the Kentucky creationists depict the dangers of mainstream higher education. Like now, fundamentalists back then didn’t just rely on hearsay. They devoured social-science reports of the deleterious religious effects of college. Most famous was James Leuba’s study of student religiosity, published in 1916. Leuba found that most college freshmen (85%) called themselves Christians, but only 55% of recent college graduates did so. The upshot, fundamentalists told themselves, was that the college experience must do something to undermine evangelical faith. What was true in 1916 seems just as true a century later. Conservative evangelicals—at least the ones who built Kentucky’s Ark Encounter—are convinced that mainstream higher education is a spiritual minefield. You don’t have to distance yourself from religion and think about it from an outside perspective, but you do if you want to succeed in this class. And so if you don’t want to do that, then you need to leave. If I were an evangelical parent (I’m not), I would hesitate to send my child into an environment where they would be confronted with that sort of hostile, ignorant attitude. And certainly, Ken Ham and the Answers In Genesis crowd are intensely anxious about the goings-on in mainstream higher education. Ham explained his reasoning in a critique of ILYBYGTH a while back, and my trip to the Ark Encounter confirmed it. Can college students protect their faith? Most of the exhibits were fairly predictable, if odd. They depicted the problems with mainstream evolutionary theory and old-earth creationism. They showed the way day-to-day life on the ark could have happened. Not what I’d expect to see in a mainstream science museum, but pretty close to what I expected to find at the Ark Encounter. On the top floor, though, I was surprised by what I found. Ark Encounter includes a long corridor dedicated to a huge, walk-through comic-book tract. The comic book’s images have been blown up to fill the walls of the corridor, and visitors walk through the story. The plot is familiar—a student wonders about her faith. After some trials, she embraces it. One of the characters is a young-earth creationist and he patiently defends his faith to two friends, but their college experience puts that faith to a severe test. The exhibit itself was a surprise, but the content wasn’t. The fears and anxieties of fundamentalists in 2018 aren’t too different from those of fundamentalists in 1918. But here’s the thing that’s been bugging me: Why does the Ark Encounter devote so much wall space to this college story, when Ken Ham thinks that the college years are already too late for successful soul-saving? Many parents will fork out big bucks to send these students to Christian colleges, hoping to protect them in their faith. But the fact is, they’re already gone. If Ham wants his flock to understand that the college years are too late, why include this huge exhibit on the dangers of college at the Ark Encounter?